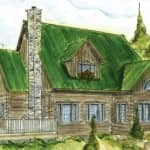 Trappeur Homes dovetail log home system is quick and easy to build, maintenance free, and twice as energy efficient as a typical home. 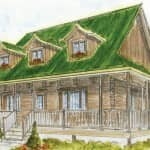 Our model log homes or custom build packages are all prefabricated and ready to assemble. 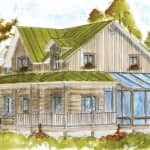 Our services start from the design (model dovetail log homes or custom build packages), planning, delivery and to install (logs only or lock-up stage). 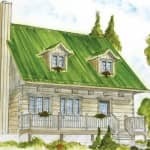 Our “Model Home Packages” cost from $60 – $85 per square foot and includes the following materials above the sub-floor (logs, framing, trusses, metal roof, doors & windows, insulation/VB, siding/soffit, decking/railings and timber framed second floor). 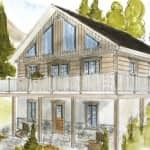 A home with our dovetail log wall system will cost (finished) between 5-10% more and is at least twice to triple as energy efficient than a conventional 2×6 stick framed home. 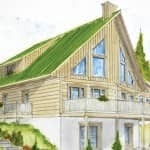 Included in our package price is a 2 day support/startup service to help unloading and sorting out the delivered package/container (day 1) and installing the log walls of the building (day 2) with your crew or contractor. 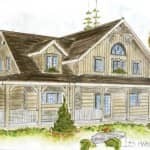 Once the “Dovetail Log Wall” is up, the rest is standard carpentry and can be done by any framer/carpenter, or our crew will get your home to the ‘lock-up stage”. 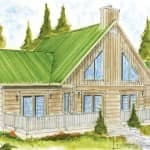 Building a Trappeur Homes makes sense as it comes without the headaches of a regular log home, no maintenance and is fast to be build – you get the best for the dollar you spend! 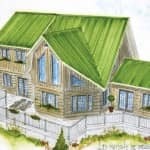 Detailed price of our Model Homes? 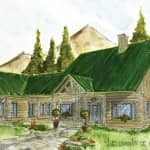 Or like to get a quote of your own design? 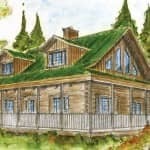 Trappeur Homes is representing Bondu Log Homes in Western Canada. 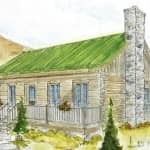 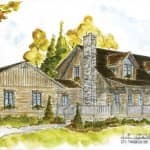 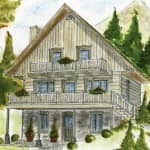 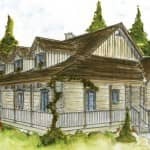 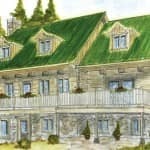 www.BonduLogHomes.com are wood experts for 4 generations (since 1973) and have sold more then 1700 white pine dovetail log homes using the best white pine found in Quebec. 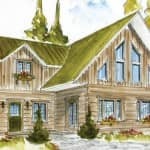 Please feel free to contact us at build@TrappeurHomes.com to get a price on your plans or detailed pricing of our prefabricated ready to go log home packages.